Yesterday, Jean-Philippe rang to see if I could come and Help! 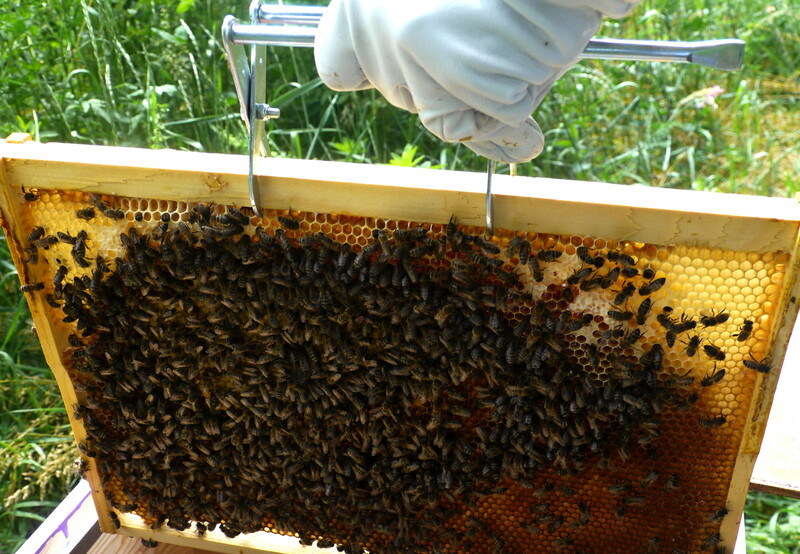 It was a case of Good Day Sunshine, and the time had come time to move the bees, from the temporary ruchette (nucleus) into a proper sized hive. So time to Drive My Car down the Long and Winding Road, over to JP’s house. 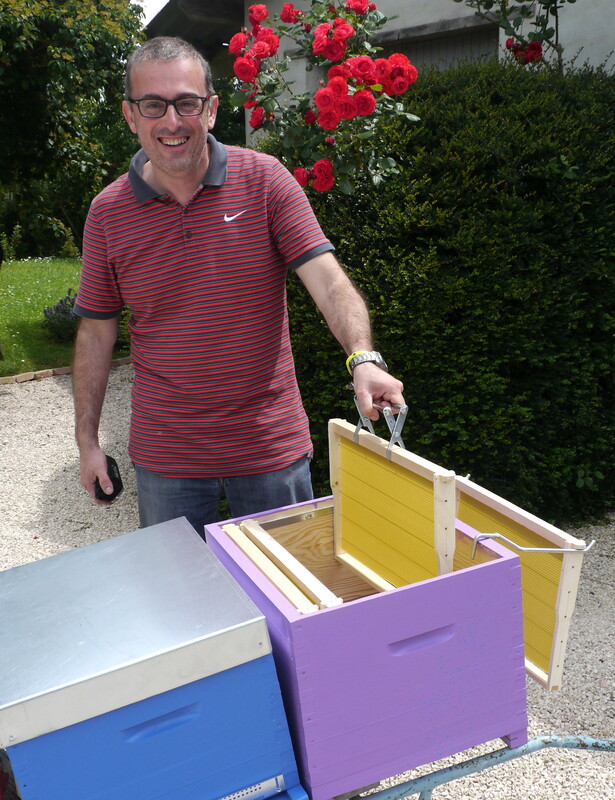 Two new hives, all colourful and freshly painted AND numbered, were ready and waiting, along with JP’s two latest gadget purchases – a metal rack, which hooks over the side of the hive, to hold frames, and a gripping tool for the lifting and maneovering of frames. 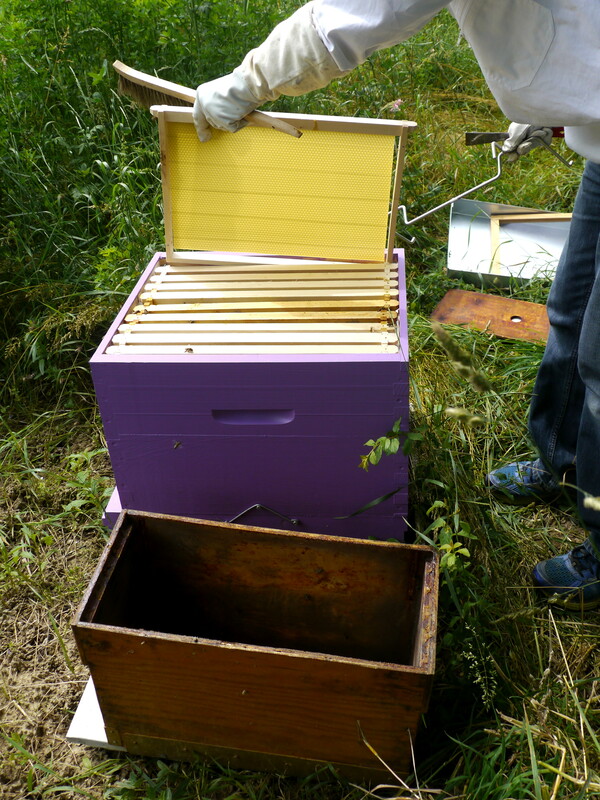 The first step was to carefully lift the ruchette and place it just to the side, and then position the new hive in exactly the same spot as where the ruchette had been. 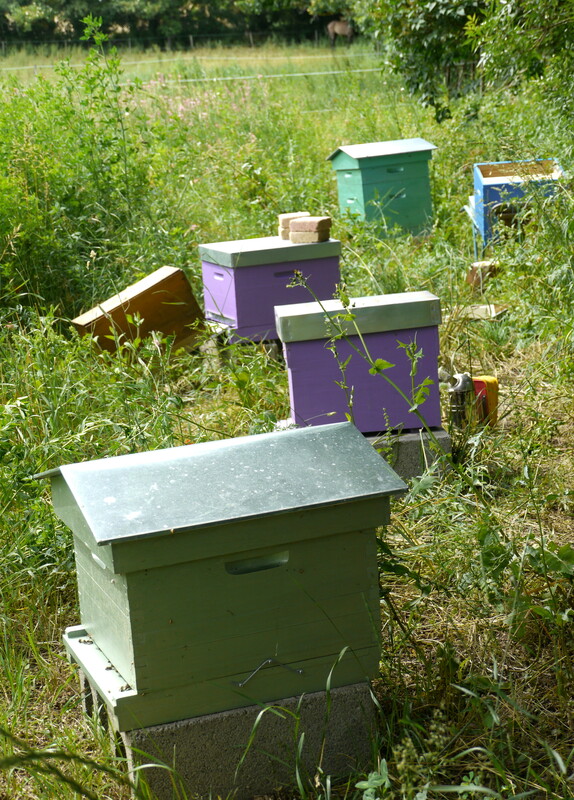 The ruchette seemed disappointingly light, but there were plenty of bees and evidence of honey making. The frames were gently transferred, one by one, from the ruchette to the fabulous new hive, and JP left a house-warming present of some sugar solution in the roof space. This process was repeated for the second ruchette, which was even lighter than the first. 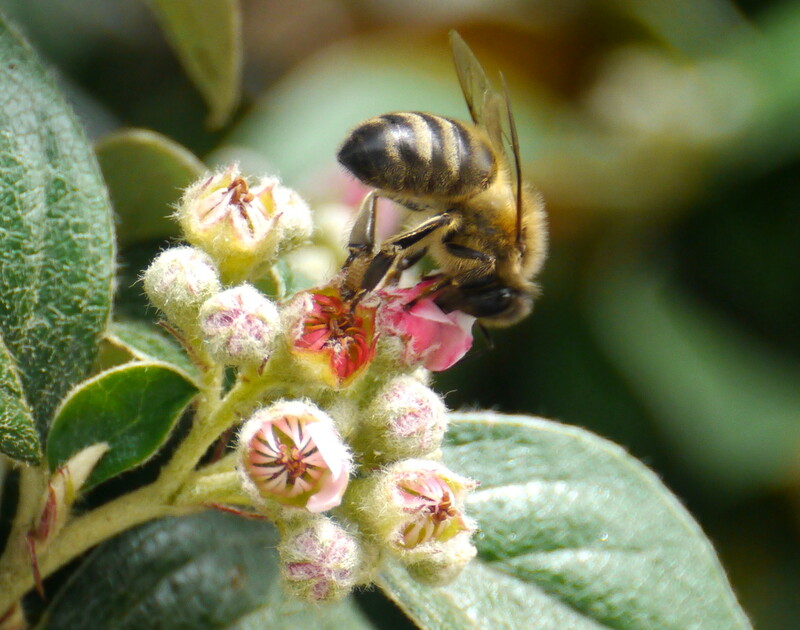 Lets hope to Get Back to warmer, dryer times so that these colonies can become truly established. Here Comes the Sun? We have that same frame grabber and love it but people in our bee club tease us because they all think it’s stupid. Glad to see we aren’t the only smart ones! JP wanted to try the grabber, because, last time he lifted a frame with his hands, wearing the big, thick leather gloves (don’t trust anything else at the moment), he accidentally squashed a couple of bees. I’ll probably be investing in one myself.